After the marvelous guided walk in Mayfair last year, we now shift our attention eastwards! Please join us on Saturday the 10th of May at 14h for a 2 hour walking tour in East London with a guide from Street Art London. This will be followed by some drinks in a local pub. Starting point will be at Old Street Underground station, Exit 2. 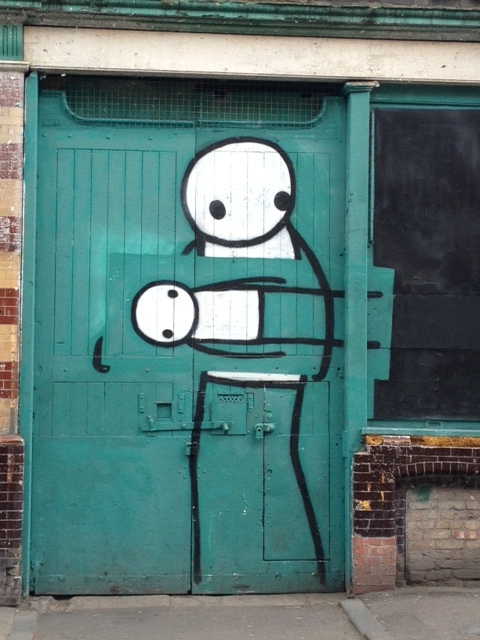 We hope to see works from the now world renowned Banksy, Stik and ROA (from Gent!). Street Art London knows where all the best street art is to be found in East London and on one of their street art tours you will discover the work of over 40 street artists. Street art in London is incredibly dynamic and changes everyday as older pieces are gone over by other artists or buffed away by the Council. 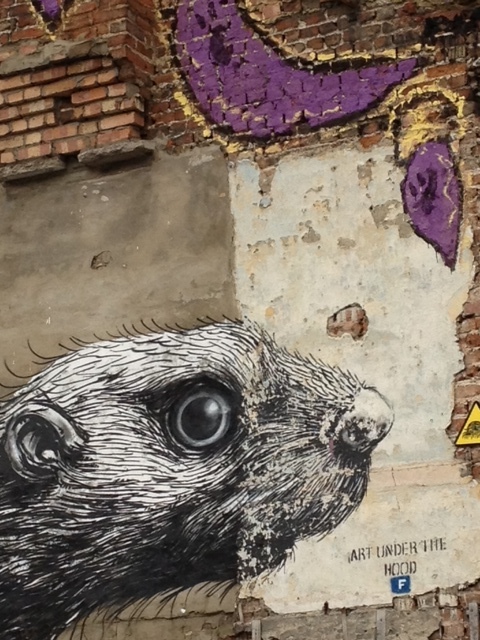 This means that their street art tours are always fresh and they always know where the latest street art is to be found. Street Art are closely connected to and involved with the street art scene in London and do much more than just tours. They have close ties to a great number of London’s street artists, regularly work alongside them on projects. They also curate street art exhibitions in London on occasion. Secure your place by registering now!